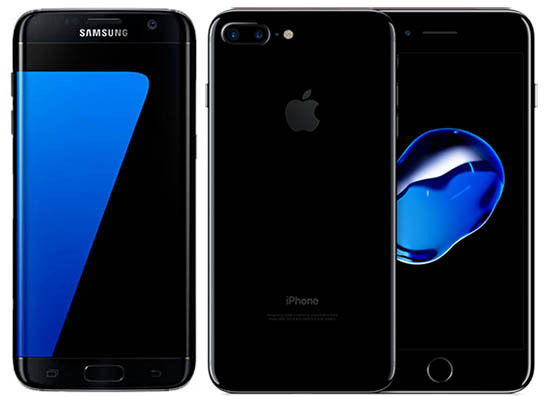 Samsung will beat Apple to the punch in next year's smartphone wars by including features in its Galaxy S8 handset that have long been rumored for the 2017 "iPhone 8", such as a bezel-free wraparound OLED screen with a virtual home button embedded in the display. Bloomberg on Thursday referred in its favored manner to "people with direct knowledge of the matter" who said that Samsung is targeting a March release for the redesigned S8, but that launch could be delayed by about a month as the company adopts tougher testing procedures in the wake of the Note 7 debacle. Apple's smartphone launch cycle usually runs on a yearly September release. Samsung is understandably wary of the dangers of rushing its smartphone development after quality control reportedly suffered in the company's race to release the feature-rich, but ultimately fire-prone, Note 7. "Since the phones have a record of burning up, it needs time for these phones to be verified as safe. How safe the phones turn out to be is more important than any hardware innovation," said Greg Roh, an analyst at HMC Investment Securities Co. "It will take about a month or two for people to actually start opening their pockets," he said. The bezel-less devices will come in sizes similar to Samsung's 5.1-inch and 5.5-inch S7 Edge models. Samsung is also said to be introducing a "significantly differentiated" voice-activated personal AI assistant in the handsets that will be able to send text messages, make phone calls and manage calendar schedules. The AI technology will come courtesy of Viv Labs, which was founded by the developers of Apple's Siri and acquired by Samsung in October. Samsung is considering scrapping dual-cameras on the S8 due to high manufacturing costs, Bloomberg sources said. According to a separate report, the models will also drop the headphone jack. Chinese phone maker Xiaomi made a splash back in October by debuting an almost bezel-less display with the Mi Mix "concept phone", boasting a screen that covers 91 percent of the front of the handset. While Xiaomi's limited-availability phone was more a proof of concept than a device ready for the mass market, both Samsung and Apple will be relying on the mainstream appeal of similarly standout features to boost unit sales in a stagnant market short on innovation. In the near term, Samsung is desperate to bounce back from the impact of this year's Note 7 recall and discontinuation, which could end up costing the company more than $6 billion. The Korean-based firm reported a 17 percent drop in net income in the three months ending September, and has advised investors to expect a multibillion dollar slump in earnings in the December and March quarters as its market share struggles to recover. As well as a bezel-free OLED display and virtual home button, Apple is said to be readying an all-glass casing and wireless charging for its 10th anniversary iPhone, with the possibility of a new 5-inch premium model and two lower tier aluminum models also in the offing. Mac Rumours should probably change it's name. I get more info about Samsung from this website than anywhere else. Not to mention the fact that the Mac line of computers are barely updated these days. MacRumors was established before Apple expanded its business from computers to the digital music, mobile phone, tablet, and smart watch markets and added products and services as varied as Apple TV, the iTunes Store, the App Store, iCloud, Apple Music, etc. We still call it MacRumors because, frankly, that's what everyone knows it by. Our news and rumors will continue to reflect Apple's business, wherever that takes us. We also cover stories of widespread interest to our regular readers, such as news and speculation about major software developers and third-party product and service vendors closely associated with or rivaling Apple. If they don't already, Apple should start making up rumours. Like a new colour wth polka dots or glitter, just to see what Samsung do. I personally think the S8 is shaping up to be a nice phone with some big changes. Curious to see what how this plays out. Competition is needed and Samsung seems to be pushing. If there's no Mac news, there's no Mac news. It's not the fault of Macrumors that Apple don't care about the Mac, or displays, or routers, or proper laptops, or the iPod touch, or useful ports, or compatible products, or... what else? So does this mean Apple will copy Samsung now? They did it once before when the rumours for iPhone 6 with a curved glass display surfaced, but they misinterpreted the rumour, overcooked it and and put a gimmicky display in the curve of the glass too. And Samsung had produced a phone which looked like it had had a stroke.